As other industries fuel a change in customer expectations, the banking biz has some catching up to do. And the only way to win in this new era of customer engagement – where their data is up for grabs – is to focus, relentlessly, on the people behind the accounts. Open banking is creating a new power shift – and it’s putting consumers in the driving seat. It is giving them a choice to share their financial data with the company that offers them the best service. Now that might still be their bank. But if not, they can seamlessly switch accounts or use a competitor’s technology to give them a better experience. So what can the banks do about this? One of the biggest outcomes of open banking is that any business who wants to compete will need to have a relentless focus on the customer. Progressive technology has fuelled a change in customer expectations. The likes of Amazon, Netflix and Spotify have been way ahead on delivering personalised services for years. And people have gotten used to it. The opportunity is huge for banks and third parties to drive innovation and drastically transform banking for the better. And now regulation has arrived to force it. Understandably, many banks are worried about the impact open banking will have on profits. The increase in competition, the shift to electronic payments, and progressive regulations are putting pressure on margins. It’s also reducing the barriers for customers to switch banks, and increasing the likelihood they’ll seek seamlessly integrated services with several different providers. So the only way for a bank to protect its existing business is by delivering a compelling customer experience. Or looking at it the other way – a relentless focus on customer value is the only way to keep the top-line number from shrinking. We’ve already seen banks using different tactics to keep them ahead of the game. 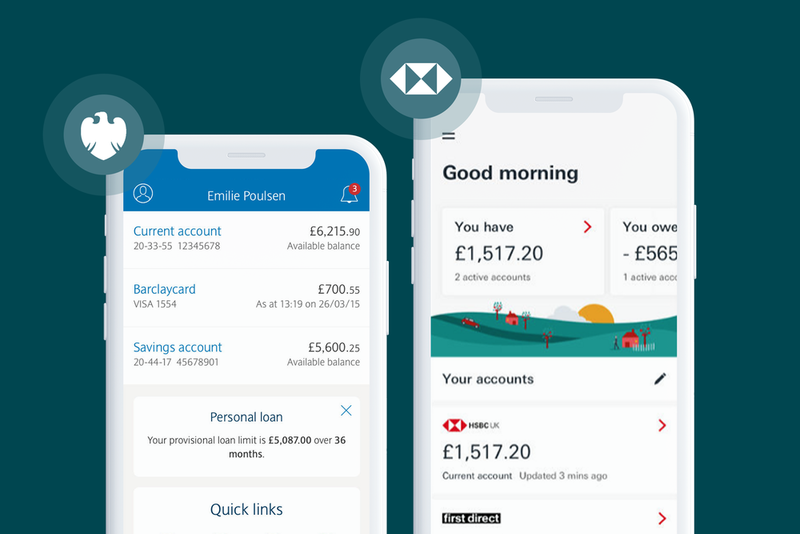 Some are launching standalone apps, like HSBC’s Connected Money app that launched in May 2018, the first bank-branded app in the UK to let its users view accounts from up to 21 different banks in one place. Other banks are embedding services like account aggregation into their core banking app, with Barclays being the first UK bank to do this three months later. Open banking will give banks a whole new level of customer insight. If they use it well, banks will not only get a complete overview of their customers’ finances, but also a better understanding of their behaviour and spending patterns. Banks will be able to personalise recommendations and sell more value-added services. Either from their own products or by partnering with third parties in markets like insurance, travel, energy and utilities. If banks focus their efforts, they can pull ahead and be the clear champions of open banking. But to do this, they will need to ensure that engaging their customers stays at the top of the to-do list. With high levels of customer loyalty and trust, banks have the best opportunity to lead the open banking charge. But watch out. There is a queue forming behind them if they don’t. To find out more about the opportunities open banking is creating, and why the time to act is now, download our new report – Why 2019 is the year of open banking.